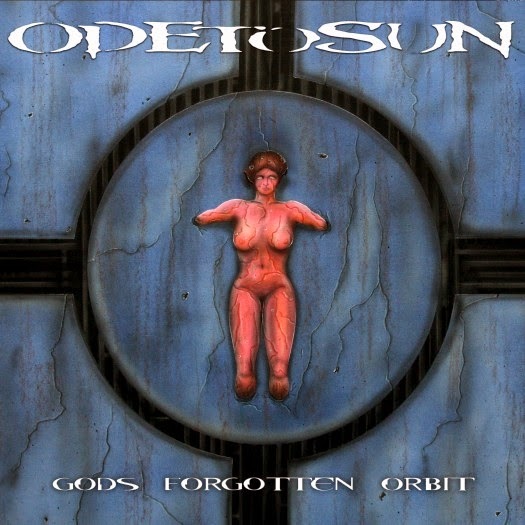 Odetosun is a proggy death metal outfit from Germany. You'll see that some of the Bandcamp comments name check bands like Insomnium and Be'Lakor, and although that's not too far off the mark, I'd be reluctant to lump Odetosun under melodic death metal. They have a strong melodic sensibility, but they're bringing some other sounds to the table beyond what you'll hear in standard melodic death metal, including some psychedelic atmosphere and a strong Pink Floyd influence in some of the guitar work. It's definitely a unique mix. On their full-length, Gods Forgotten Orbit, Odetosun largely eschew low, chunky riffs in favor of a more twisting, melodic guitar style, and they're very good at it. They range from the open, ringing lines in "Eclipse Chaser" to the simpler, doomy riff that brackets the beginning and end of "The Swarming Infinity." Regardless of style, they're always propulsive, and they're fantastically backed by hard-driving bass lines, like in the instrumental track "Journey to Gilese." Sometimes they're as much percussion as they are bass, and it works really well. The death metal growls also have a perfect amount of grit and grime for my taste, while still being clear enough to be able to make out a decent portion of the lyrics, which is always a tricky balancing act. If there's one weakness of the album, it comes near the end when the band slightly overindulges with the guitar solos. As I already mentioned, "The Swarming Infinity" has a killer riff, but nearly half of its eight-minute run time are given over to a backing rhythm track with Floyd-ian guitar soloing. It's pretty well done, but the momentum of the song suffers. The closing track, "Gods Forgotten Orbit," has a similar problem, and it's made slightly worse by the song ending with over a minute of ambient noise. Metal, and music in general, does not have to be high intensity all the time to be compelling. For example, the second track of the album, "Veil of Leviathan," shows a fantastic sense of push and pull, tension and release, which kept me engaged for its full nine minutes, but the last two tracks rarely held my interest for their full length. That aside, there's a lot to love on this album and I'm definitely looking forward to hearing where they go next. If you're a bigger fan of extended, psychedelic guitar jams than I am, this might come close to nirvana for you. We do. In fact we think it's groovy.